Italian designer and architect Stefano Getzel born in 1958. Nevertheless, Getzel moved to the United States at an early age to pursue his studies in Architecture, Art and Philosophy. In the beginning of... Read more his career, Getzel worked at the Skidmore, Owings & Merrill Practice in New York. This experience gave him the opportunity to collaborate in notable architecture and design projects while simultaneously allowed him to meet some of the most renowned names within the field. In 1988 Getzel returned to Italy and established his own multi-disciplinary firm, the Getzel Design Studio. The Getzel Design Studio’s projects range from architecture, industrial design to applied arts and graphic projects. Stefano Getzel’s furniture designs have been recognised many times. 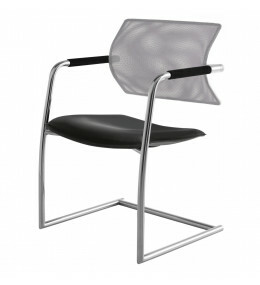 Getzel ‘s Aire Chair, manufactured by Luxy, was awarded with the ‘Best of the Show Award’ at Neocon 2001. He was also awarded with the ‘ADI INDEX’ and the ‘Best of the Neocon Gold’ in 2008. Synchrony Executive Meeting Chair is a comfortable business armchair with polished or satin swivel base. 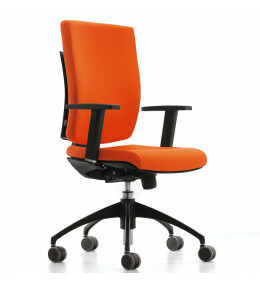 Pixel Office Task Chairs are available with high or medium back and height adjustable armrests. 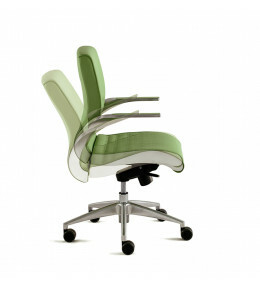 Aire Task Chair is a modern, light and versatile office seating range, offering height adjustment. 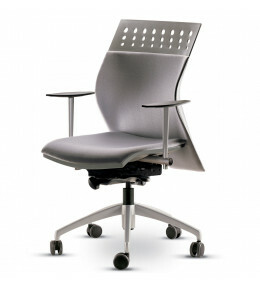 Aire Jr Office Meeting Chair is available in cantilever, 4-legged or star-shaped base with castors or glides.